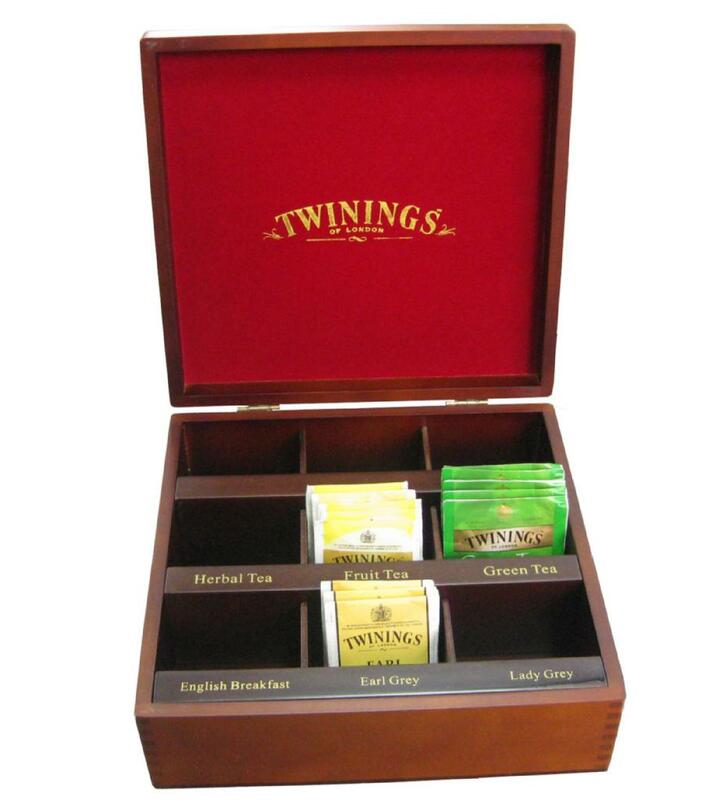 Here is a beautiful tea wooden box made for one of our customers, Twinings of London. It features 9 compartments with the name of each tea flavor taste written on the face plate of each compartment. 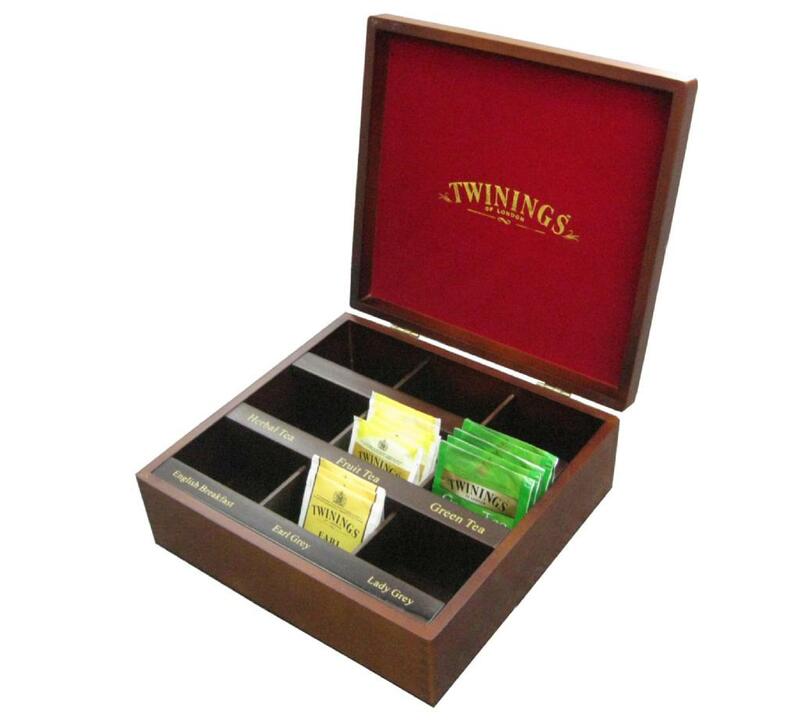 Lined with burgundy felt, this Twinings wooden tea box is high quality and can be stamped with your own company logo in different colors. We take great pride in manufacturing the highest quality custom made tea wooden chests and tea wooden packaging boxes for every customer. We have the skilled workforce and expertise required to meet any and all of your wooden box needs.